It is fair to say that most people in Finland, if they have heard of John Calvin at all, have heard enough about him to know that do not want to know any more. Wasn’t he an angry little scholar who delighted in painting God as one who “predestined” people for hell and is happy about it? He is the “frozen chosen” guy, right? And, why does he always look so angry in his picture? That’s probably the way he was in real life, and he seems to the complete opposite of our beloved Luther. John Calvin was born in Picardy, France, in 1509. Eventually he studied for the priesthood in Paris and during that time he experienced a sudden and dramatic conversion. He left the Catholic Church and committed himself to studying the Scriptures with the intention of being a scholar. He spent some time in Geneva in Switzerland, which proved to be difficult, before he was appointed as a pastor and teacher in Strasbourg. He served there for three years, from 1538- 1541, before he was invited back to Geneva in 1541. He remained in Geneva for the rest of his relatively short life dying in 1564. Below is a brief overview of Calvin’s ministry during that time. Despite what many think Calvin was not an ‘ivory tower’ scholar. He was no theoretician, or abstract theologian. He was committed to helping Christians live for Christ in the everyday. For Calvin, the purpose of Scripture and all theology was ‘to do us good’. His contribution to theology is immense and has helped Christians for centuries to know and live for God. Calvin was only 25 years old when he wrote Institutes of the Christian Religion, which was written as a manual for the Christian life. It is his magnum opus and highly practical. More than 450 years later, the Institutes are still tremendously influential. The extent to which he has shaped theological discussion over four centuries is nothing less than remarkable. Perhaps most surprising Calvin was a great proponent of missions. Under his leadership literally hundreds of churches were planted throughout France at a time of fierce gospel opposition there. It is probably fair to say that Calvin was the most successful church planter in Europe after the apostle Paul. Calvin has a passion to see the Gospel extend to the ends of the earth – he even sent a church planting team as far as Brazil in his day. Calvin was a pastor for 27 years, half his life, in two different churches (one of them he served on two different occasions). He saw his primary duty as pastor was to preach: he preached expositional sermons from the New Testament on Sunday and from the Old Testament on weekdays. Calvin was a very engaging preacher who used no notes and easily understandable language with lots of application. Under his pastorate he raised the biblical literacy of the entire community in a significant way. But Calvin was more than a preacher. J.D. Benoit, in his book John Calvin, writes, “Though he may be first thought of as theologian, he was even more a pastor of souls.” He loved his people and would tirelessly visit them in their homes especially when they were sick or in indeed of encouragement. Calvin had a practice of writing letters to his church members and in those letters would be very sincere and tender. We would be remiss not to mention his beloved wife Idelette who would accompany him on visits and made their home a welcoming place for visitors. Interested in learning more about Calvin? 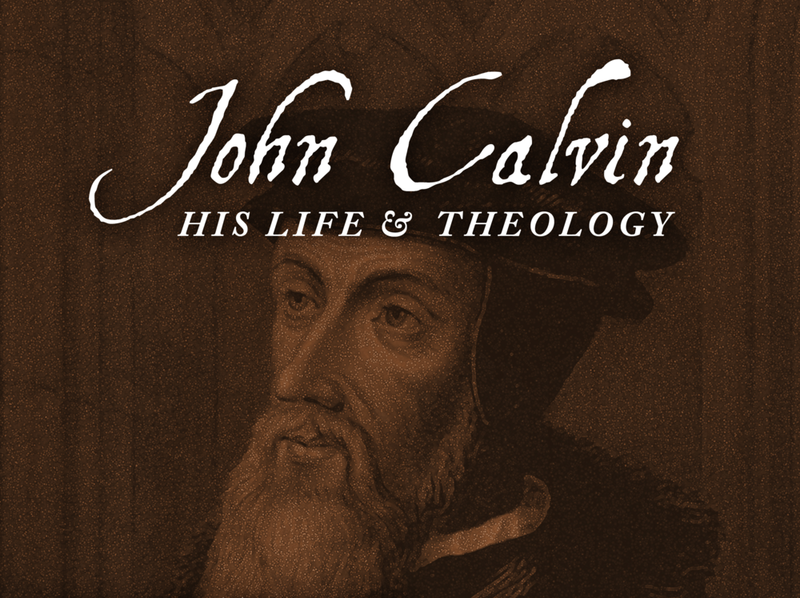 In September, Agricola Theological Institute — the pastoral training institute affiliated with UCC — is hosting a conference on John Calvin. Our speaker will be one of the world's leading experts on John Calvin, Professor Tony Lane. (Here is an article Tony wrote on the topic of Calvin's Institutes). The conference is open to all and no academic or theological background will be needed to benefit greatly from the event. The cost of the conference is €20 (€15 for students) and includes lunch on Saturday. Location: Suomen Raamattuopisto, Helsingintie 10, 02700 Kauniainen. 2. Was Calvin a Calvinist?